One may ask why it is important to study a book from 1996 in 2016, especially when a great number of the 26 articles included in the book were published even earlier (5 before 1980, 16 from 1980-1996, and 5 new). Well, we still study Aristotle, Kant and Arendt because they contributed important concepts and perspectives to the struggle centring on man’s relation to the world. 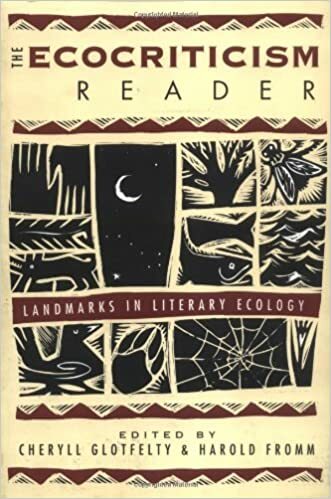 There is no doubt that The Ecocriticism Reader (TER) is another seminal work addressing the same issue, but for the first time taking “an earth-centred approach” (xviii) not only to literature, but also to humankind’s relation to the natural world. The book develops and examines concepts (ecology, ecocriticism, nature writing) and suggests definitions, as well as providing analytical tools, historical background and examples of how to apply theory to a literary text. The book’s subtitle, “Landmarks in literary ecology”, suggests that we can read the book as a map. More precisely, as a historical map of American nature literature – writing and theorizing. Although the American landscape, thinking and writing predominates throughout the book, it is still extremely useful to the NaChiLit-project; it motivates us to find and develop our own view on how landscapes and beings are represented in Norwegian or Nordic children’s literature, and how our own language and literature transmit values with profound ecological implications. How is nature represented in children’s and Young Adult literature? What role does the physical setting play in the plot? Are the values expressed in the texts consistent with ecological wisdom? Do men write about nature differently than women do? In what ways has literacy itself affected humankind’s relationship to the natural world? In what ways and to what effect is the environmental crisis seeping into contemporary children’s and YA literature and popular culture? What cross-fertilization is possible between children’s and YA literary studies and environmental discourse in related disciplines such as history, philosophy, psychology, art, history, and ethics?